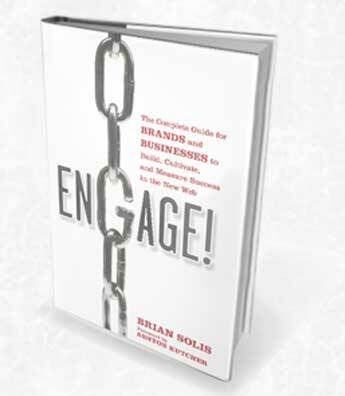 In Engage!, I review the important catalysts and methodologies defining the new era of Social CRM or sCRM. In the discussion, I also introduce the idea of SRM (social relationship management), a concept that may at first blush, seemingly appear to introduce yet another acronym or perhaps challenge the promise of sCRM. However, its only intention is to spur thinking beyond the literal frameworks of traditional customer relationship management, whether it’s social or one-way. Much of this chapter was cut as the book was already well over its target word count. As it’s an important topic, I’ve reassembled the pieces into a two-part series to spark useful conversation and innovation around the subject. At a minimum, SRM focuses beyond the social customer and escalates the promise and potential of sCRM across an entire organization, not just customer service. Equally, SRM zooms in to evaluate the various stages of decision making and the channels and people that influence outcomes. If we look at CRM and the methodologies and technologies that support customers today, social CRM represents much more than a modernization or even socialization of an aging system of support and service. Information is becoming commoditized. Conversations, sentiment, inquiries, and intentions are vocalized and open for organization, categorization, and analysis. Our newfound sense of hearing is there for the benefit of learning. Accordingly, adaptation will be the key to earning relevance in our markets and this continuing practice of adaptation is how we will ultimately establish prominence. This is easier said than done of course. The culture that prevails within businesses today actually works against the pillars of socialized CRM. As such, everything begins with change and the compelling case to do so. While social media has traveled a great distance from our personal exploration to our profession endeavors, this unstructured groundswell has forced a bottom-up revolution led by us, the social champions who believe that the customer should once again, come first. Eventually however, we hit a ceiling where the effects of championing change are met with challenge and skepticism. This opposition is natural, as the energy and persuasion necessary to break through the ceiling and impact the entire organization from the top-down, requires much more than enthusiasm. Before businesses can collaborate within their communities, they first have to learn how to collaborate internally. As Charlene Li points out in her new book Open Leadership, organizational transformation is only truly attainable through the willingness of leaders to embrace a change of course, act, and do so without having all of the answers. But, neither Charlene nor I endorse changing for the sake of change, nor do I suggest that we take any steps blindly. Instead, I believe in the power of data and as such, I rely on the real-time social information that visualizes impact, influence, sentiment, and opportunities. Research, analysis, and insight offer clarity and direction. When combined with recommendations for process enhancement and ultimately compelling forecasts, we can then begin to demonstrate the ability to increase customer acquisition, retention, sales, and market share overall. This is the only language, for the time being, that seems to resonate with executives. The premise of SRM is that the Social Web is distributing influence beyond the customer landscape, allocating authority amongst stakeholders, prospects, advocates, decision makers, and peers. The activities that govern each form the separation and distinction between customer acquisition, retention, and advocacy. I believe at the heart of sCRM methodologies, the recognition that customers are only part of the new equation, sets the stage for long-term and advantageous change. Every day, customers and prospects are faced with making decisions and the paths that they take are increasingly open to input. People are not only taking to the social Web for options, research, and recommendations, the insight they receive is derivative of the experiences and observations of others. This is why the concept of SRM shatters the boundaries set forth by CRM and the prevailing methodologies that inspire the progression towards sCRM. Again, the idea of SRM recognizes that whether someone recommended, purchased, or simply recognized a product or service publicly each makes an impact on behavior at varying levels. In the realm of SRM, influence is distributed. If we define influence as the ability to inspire action and measure the corresponding activity, the socialization of influence now expands beyond the strategies and software that organize and optimize customer relations and the management processes that govern it. The entire organization needs to socialize and optimize in order to affect decisions and earn relevance. Customer service, combined with participation and engagement, forms a powerful foundation of marketing without blatant marketing. And, as the socialization of our business is introduced through open leadership, engagement brings into focus the fifth “P” of the marketing mix – people. Indeed, this is about people and the recognition of influence wherever and however it takes shape. Equally, this is about relations and relationships. As such, we need principles, guidelines, processes, and systems to identify and engage in relevant communities and corresponding activity to trigger, cultivate and harness the rewards for paying attention and connecting. This is just the beginning. The road to SRM is rich with insight and it affects the entire organization and in turn, the ability to impact decisions. This entry was posted on Wednesday, June 9th, 2010 at 5:24 am	and is filed under Uncategorized. You can follow any responses to this entry through the RSS 2.0 feed. You can leave a response, or trackback from your own site.